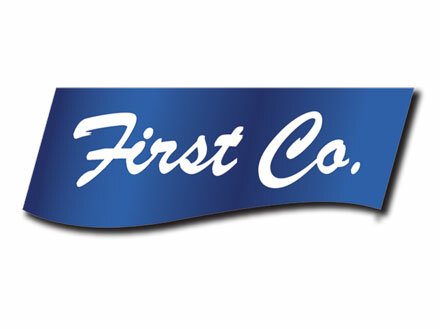 Since it was founded in 1966 to provide the rapidly growing HVAC industry with an independent source of fan coils, First Co. has earned an enviable reputation as a leader, innovator, and trusted supplier of a broad range of quality HVAC products. The company’s production facilities are located in Dallas, Texas where they have steadily grown to their present size of more than 400,000 square feet. The expansive complex boasts both the most up-to-date manufacturing equipment available and a stable, experienced, highly skilled workforce. Manufacturing capabilities range from the ability to produce short runs of specialized products built to customer specifications, to the kind of high volume production capacity required in manufacturing the standard two to twenty ton units that comprise the First Co. line of commercial and residential air handlers. Engineered systems produced by the company are characterized by a commitment to quality and performance that sets a standard of excellence few companies can match. Visitors to the First Co. Engineering Department will find a seasoned team of professional engineers and support personnel along with a full complement of the latest computerized development systems and test equipment including state-of-the-art indoor and outdoor environmental test chambers, and a sophisticated wind tunnel.